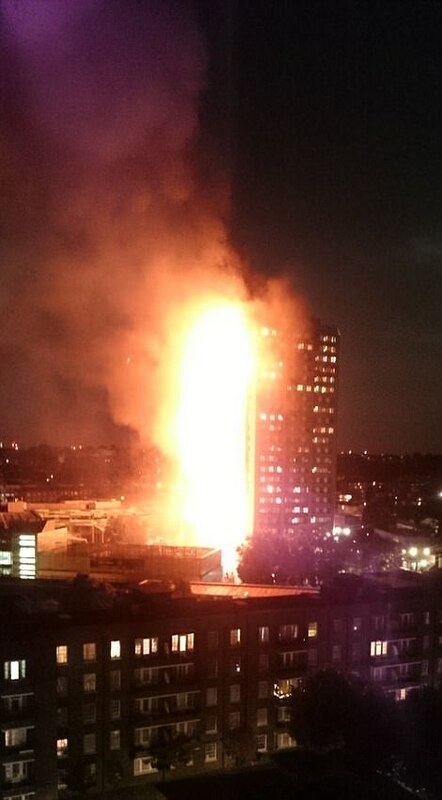 More than 200 firefighters and 40 fire engines are battling a large fire on a west London estate amid reports of people being trapped in their homes. 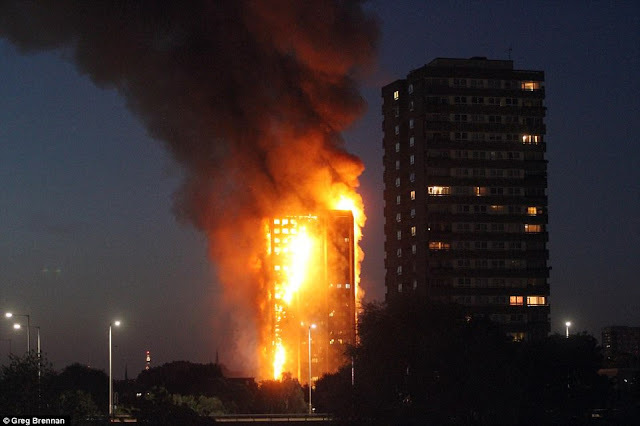 At least 30 people have been taken to five hospitals in the capital for treatment as hundreds of residents in the 27-storey Grenfell Tower are evacuated from their flats in the burning building. Witnesses described hearing screams, watching a person fall out and a woman holding a baby out of a window. 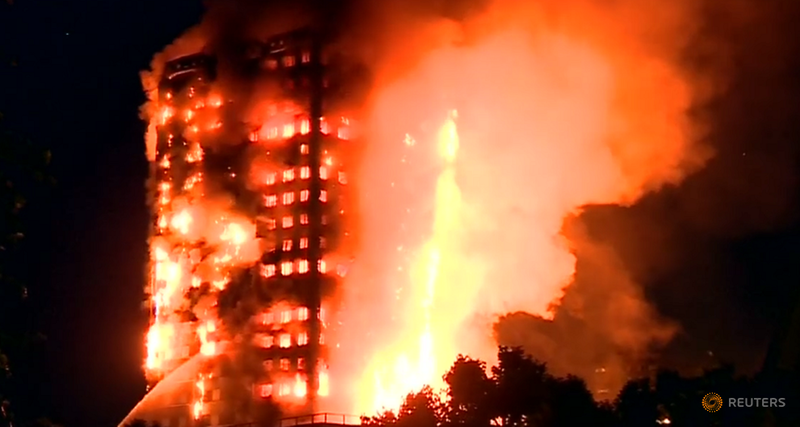 Footage on social media showed the building engulfed in fire, with huge flames stretching over a number of floors after the blaze erupted at around 1.15am. The fire brigade said the fire had spread throughout the entire building, now covered in plumes of smoke with visible pockets of fire within. London Fire Brigade assistant commissioner Dan Daly said: "Firefighters wearing breathing apparatus are working extremely hard in very difficult conditions to tackle this fire. "This is a large and very serious incident and we have deployed numerous resources and specialist appliances." Reporting from the scene, Sky News producer Dan Cairns said residents have been told that if they get calls for help from people inside, to tell them they need to try and "self-evacuate". He added: "They are being told to put a cloth over their mouths and try to get out by themselves." Actor and writer Tim Downie, who lives around 600 metres from the scene, said he feared the block could collapse. The whole building is engulfed in flames. It's just a matter of time before this building collapses. "It's the most terrifying thing I've ever seen. I just hope they have got everyone out. "The first I knew was the noise of sirens, helicopters and shouting. I saw it engulfed in flames. "People have been bringing water, clothes, anything they've got to help, out to the cordon. "I have seen people coming out in their bedclothes - it's just very distressing." London mayor Sadiq Khan tweeted: "Major incident declared at Grenfell Tower in Kensington" and urged people to follow London Fire Brigade on Twitter. One witness, Reo, told Sky News: "I was in my kitchen and heard smoke alarms. "I could see the whole right side of the building was on fire." Celeste Thomas lives across the road from the tower and said residents and families were "trying to find each other" following the evacuation. She said: "Police have moved everyone back out of direct sight but I can hear cracking and debris falling." The tower block is on the Lancaster West Estate, between Latimer Road Underground station and Westfield's White City shopping centre. Police said: "At this stage we are aware of two people being treated at the scene for smoke inhalation." Transport for London said there was no service between Hammersmith and Edgware Road on the Circle and Hammersmith and City lines, while the police said the A40 was closed in both directions, owing to the fire. Nick Paget-Brown, leader of Kensington and Chelsea Council, said several hundred people will have been in the tower when the fire broke out. He said emergency centres have been set up for evacuated residents, and that the council is "providing as much support as we can". "Emergency services have set up a big cordon around the area, it's quite hard to get accurate information but the council will be doing all it can."